Beed is located in central Maharashtra. The city has got several historical buildings of which Kankaleshwar temple is the most famous. Remains of the fort are still visible on the western bank of Bensurariver. Beed is famous in Marathwada for its Biryani. Achār (pickle), pāpad (poppadom) and spices are part of a common high chili diet. The seasons here could be divided into three main seasons. Summer, Monsoon and winter. Winter season begins in October and continues till February. It can get very dry and cold during this period, and temperatures can drop to as low as 4°C. Summers in the town of Beed normally last for a really long time, that is, for at least five months in a row. It starts in February and lasts till June with a maximum temperature of 40°C and a minimum of 31°C. 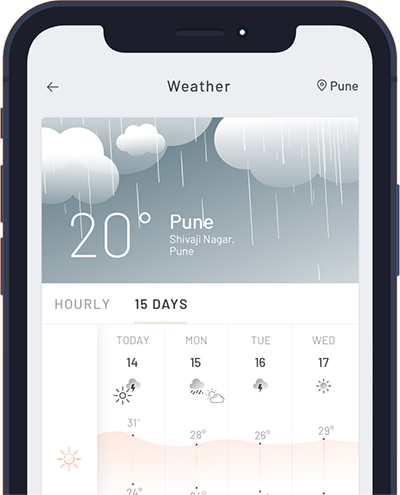 Rains in the town of Beed are very scarce and good amounts of showers will occur only in the months of July, August and September. Best time to visit is during the winter. This town is a tourist stronghold due to its presence in a location of good historical value. There are various historical buildings and structures including the Kankaleshwar temple and Jama Masjid.